HICKORY- The Asheville Tourists were shut out for the first time this season on Monday night. The Hickory Crawdads, the South Atlantic League's top pitching team, held Asheville to no runs on two hits, both singles. The Crawdads only needed two runs as they handed the Tourists a 2-0 defeat; Asheville's fifth loss in six games. Asheville's offense did not net a base-runner until the top of the fifth inning when Willie MacIver worked a lead-off walk. The Tourists first hit came in the sixth on a Hunter Stovall single to left field. Their best scoring opportunity was in the seventh. Grant Lavigne singled to left field, MacIver worked a walk, and the Tourists had runners at first and second with no outs. A strikeout, flyout, and then a walk loaded the bases with two away but Stovall flew out to left field to end the threat. The Tourists did not put a runner aboard over the final two frames. Ryan Feltner suffered a tough luck loss despite his best starting appearance this season. Feltner tossed 5.2 innings and limited Hickory to a pair of runs. Feltner allowed an RBI double in the first and a solo Home Run in the sixth; however, the righty looked dominant for most of his outing. Nick Kennedy and Alexander Martinez kept the Crawdads scoreless and hitless over the final 2.1 innings. Hickory's brilliant pitching performance was led by Tim Brennan. The right-hander held Asheville to just one hit over six innings despite not throwing a pitch over 89 mph. This was the third shutout tossed by the Crawdads this season and the seventh time in 11 games they have held their opponents to one or zero runs. 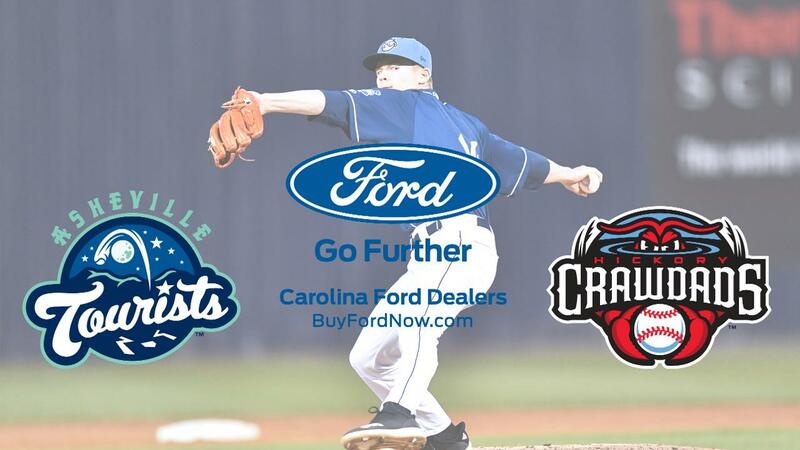 Asheville will attempt to bounce back against the Crawdads on Tuesday night with a 6:30pm first pitch. The Tourists are 1-4 on their current seven-game road trip.